Cashouts are usually sent in less than 48 hours, but it could take up to 14 days. There's nothing related to process until 14 days on the site. This is the message when we go inside Cashout page. 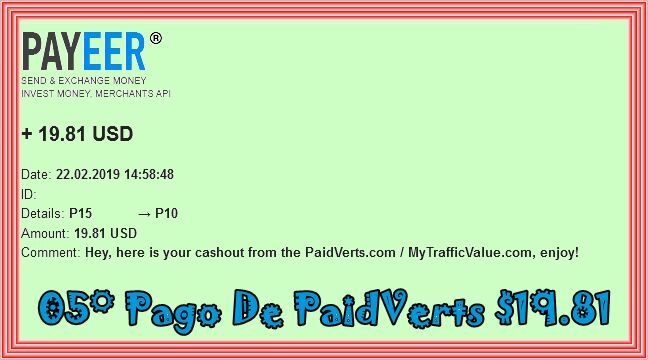 "To cashout your PaidVerts earnings, use the form below to transfer your earnings to your desired payment method balance. And then click ‘cashout’ in the table below next to the corresponding method. Cashouts are processed within 7days. Usually the same/next day." 4° Payment $20.00 Thank You Admin!!! 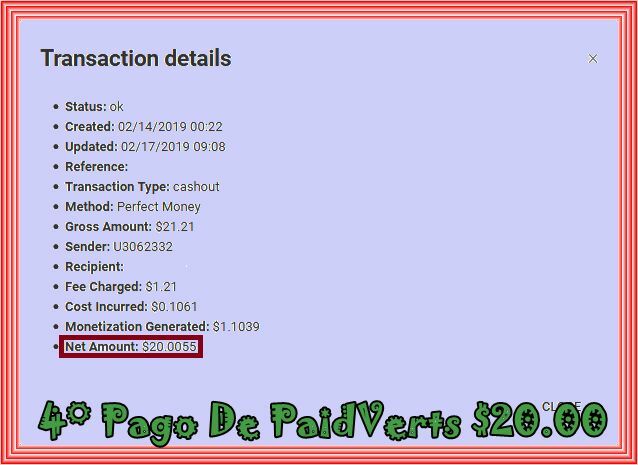 Probando un nuevo procesador de pagos... Primer pago recibido con Payeer en menos de 24 horas. 5° Payment $19.81 Thank You Admin!!! 6° Payment $20.00 Thank You Admin!! !